HOWLAND — Karl E. Fauvie, 82, passed away Thursday, Sept. 6, 2018, at the Hospice House in Poland. 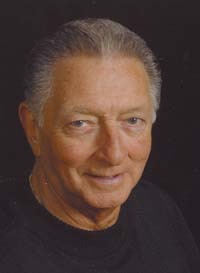 He was born July 22, 1936, in Warren, the son of the late Alfred “Red” and Carlotta “Kate” Fauvie. He retired in 1988 from Packard Electric as a supervisor after 23 years, where he also worked as a high lift driver for seven years. He was an avid fisherman and boater whose boat was always spotless. He also enjoyed traveling to South Carolina during the winter months and could always be found watching old-time Western movies and NASCAR. Karl was the definition of a family man and an incredible friend to all. He experienced no greater joy than being with his loved ones. His legacy will be cherished by anyone that knew him but his laughter will forever be in our hearts. Karl proudly served in the U.S. Air Force from 1953 to 1961. He is survived by his wife, Rose Fauvie, whom he married Sept. 1, 1962; two sons, Karl A. (Lisa) Fauvie of Niles and Robert A. Fauvie of Sparta, N.J.; three grandchildren, Jonathon Fauvie of Youngstown, Katie (Nate) Anthony of Cherry Point, N.C. and Nicole Fauvie of Sparta, N.J.; and one great-grandchild, Aubrie Anthony. He was preceded in death by his parents; and a brother, August A. Fauvie. Family and friends may pay their respects 3 to 5 p.m. Sunday, Sept. 9, 2018, and 11:30 a.m. to noon Monday, Sept.10, 2018, at the Peter Rossi & Son Memorial Chapel, 1884 North Road NE, Warren, Ohio 44483. A service will be noon Monday at the funeral home, with the Rev. Richard Murphy officiating. Burial with military honors will be in All Souls Cemetery, Bazetta. Family and friends may visit www.peterrossiandsonfh.com to view this obituary, sign the guestbook and send condolences to Karl’s family.